Move over Lady Luck, there’s a new mistress in town, and her name is Madame Chance. Before we go further, some history. Madame Chance is part of the Game Tech Group, which has been, in the past, found to be using unethical practices that included offering bootleg NetEnt games. Game Tech were caught doing it, punished accordingly, and there is nothing to suggest that they still carry out such activities, but it is worth being aware of this history before deciding whether to play at this casino. Now that’s done with, Madame Chance is a new online casino for 2017 that has already caused quite a buzz since its launch, which is no easy task when you are trying to crack one of the most competitive, and most full markets on the planet. New sites are popping up all the time, and in order for Madame Chance to stand out, it really needs to stand out. Catching the attention of players early is certainly beneficial to an online casino’s search for success, but it is by no means all it takes. Once you have you audience’s attention, you then have to keep it, and with a multitude of other online casinos vying for that same attention, it takes a lot of work. So, does Madame Chance have what it takes to continue its early success? Madame Chance is a pretty, little casino. It seems like an odd phrasing I accept, but there is little other way to describe this site. With a 50s pin-up style design concept, it’s hard not to be immediately charmed by how wonderful this site looks. 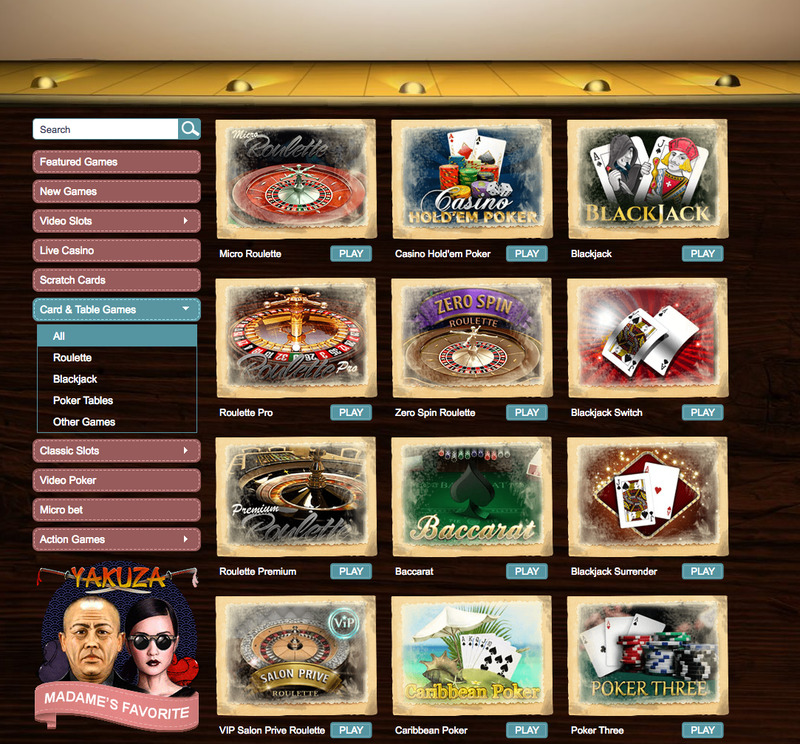 It isn’t that the design here is particularly unique, the fact it is 50s styled suggest in and of itself that there has been 60 plus years of many different things using the same theme, but it is rare that you will see it executed this well, especially in the world of online casinos. Like with all other Game Tech sites, games are easy to find here, with a selection of popular games available directly on arrival to the homepage, and game types clearly labelled and searchable from the homepage too. Madame Chance has a genuinely impressive selection of games, and it really would be something to rave about were it not for one thing. Every single Game Tech site, with very few exceptions, has the same games selection. It makes little sense to have so many different sites offering the same content, and it takes a lot of the awe and wonder away from how good the choice is at any one of them. 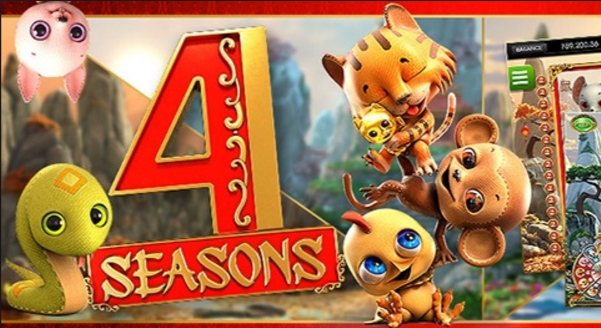 However, with developers including 1X2 Network, BetSoft, ELK Studios, Extreme Live Gaming, GameART, GameScale, Nektan, NetEnt, NextGen Gaming, NYX Gaming, and Thunderkick providing the games here, and a host of different game types on offer including video slots, classic slots, table and card games, video poker, a live casino, scratchcards, micro bet games and more, its’ still an impressive variety of games, especially if this is the first Game Tech site you’ve discovered. 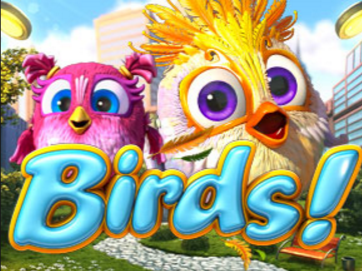 The problem with Game Tech’s habit of repeating content across sites, is that essential you are just picking your favourite design concept, because everything else is more or less the same as it would be at Casino Blu, for example. That being said, if it is a case of picking the prettiest looking site, then Madame Chance can look forward to a lot of business!